Happy Summer to all of our business partners around the globe! We want to thank everyone for your continued support of the brand and especially for welcoming JB Lierre onboard as our new Director of International Sales. He and Gamma have been reaching out to everyone. With this newsletter we are going to try to be more proactive about staying in touch with everyone. At the factory we have been working on finalizing some new hifi designs. I recently was lucky to add Dylan Wahl to our design team. Dylan has vast experience with all sorts of engineering – ranging from automotive electronics to automation design to particle accelerators and other non-audio disciplines. I first met Dylan through mastering engineer Pete Lyman. 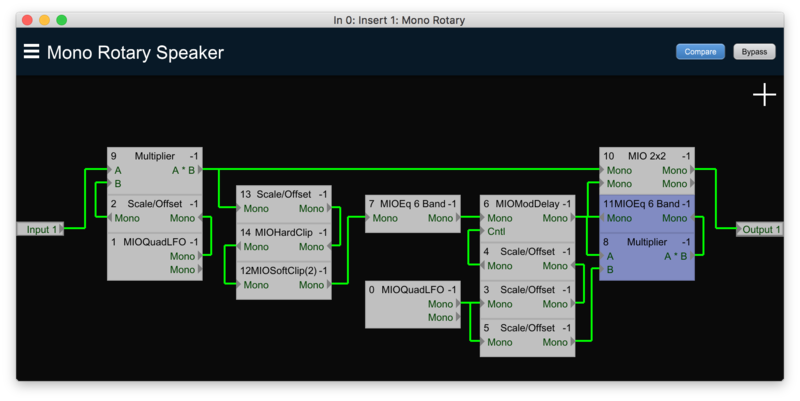 Dylan had designed and constructed brand new record lathe control circuitry for Pete’s lathe at Infrasonic Mastering. I was immediately impressed with the clean layouts and clever features he had designed for Pete. Also we are all motorbike enthusiasts…so we got along instantly. For the last few years Dylan was working with record lathe legend Len Horowitz at History of Recorded Sound, restoring lathes for folks all around the world. At Len’s place in Culver City I got to see Doug Sax’s epic Mastering Labs record cutting systems being restored for their current owner, Acoustic Sounds, and I got to see how they repair and rewind cutter heads. Working with Len, Dylan developed his listening skills and vacuum tube chops. He brings a wealth of skills to our team along with a kind heart and buckets of patience! I am really excited to have multi-talented Dylan Wahl working with us. As some of you may have noticed, we’ve recently updated our logo, returning to the classic engraver’s font used many moons ago. Please visit the link below to download all new logo assets, and make sure your marketing department is aware of the changes – these apply to the entire Manley brand worldwide, so your dealers will need to update their websites and other materials accordingly. We’ve just produced four audio demonstration videos featuring our new Nu Mu Stereo Limiter Compressor – you can view them all on our YouTube channel, or download them via the link below. A TEC NOMINATION FOR THE REFERENCE SILVER MIC! The Manley Reference Silver Tube Microphone has been nominated for a TEC Award in the Technical Achievement category for Microphones (Recording) – we are so honored! 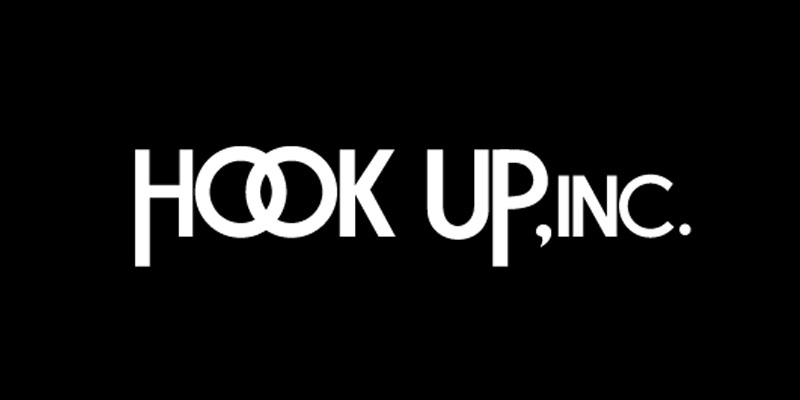 Established in 1991 in Tokyo, Japan, Hook Up is one of Manley’s very oldest partners. Their relationship with Manley dates all the way back to 1992 (! ), and they’ve remained one of Manley’s strongest importers for many decades. Our friends at Production Expert have created this thorough video review of the VMS ML-2. Click below and watch as they mic up a drum set with 4 VMS ML-2’s and a VMS ML-1. 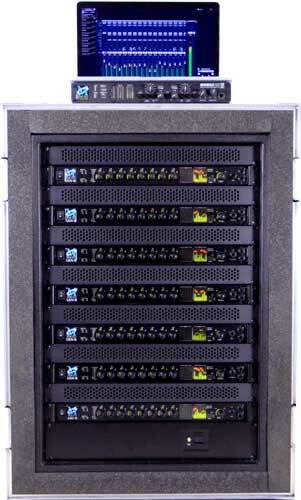 Here’s what our awesome customers are saying about the VMS ML-2! With the VMS ML-2 release we created a way for you to experience the Slate Virtual Recording Studio including ALL of our microphone models. Click below to go to The VRS Experience page where you can download all the Slate plugins including 14 day demos of our VMS microphone plugins, as well as a multitrack session recorded with VMS mics through our upcoming VRS8 interface. When I was twenty years old, I was interning at a pro studio in Boston, Massachusetts where I had the fortune of working with high end gear like vintage mics, tape machines, consoles, and all the rack gear you could ever want. Then I’d retire back to my janky little home studio, dreaming of one day having the money to afford all the cool toys from my day job. That’s why I am so thrilled about the Slate Digital Virtual Recording Studio.Now you don’t have to be elite or rich to have access to the industry’s most sought-after tools, including a locker full of the very best microphones. I’m so pleased to let Slate users know that they can now experience ALL of our Virtual Microphone models! By visiting the VRS Experience, you can download demos of all Slate Plugins, including 14 day demos of both our Classic Tubes Mic module and our new Classic Instruments Mic Module. You can then download the VRS Session which was recorded with ML-2 and ML-1 microphones, and audition the virtual mics to hear the incredibly precise tone of the mic modeling. You’ll want to make sure you activate all the Slate and Eiosis plugins since they are needed for the session. So I hope you enjoy playing around with the Virtual Recording Studio! It’s a lot of fun to shape your own sound using your own mic combinations! Happy mixing! The 3d Card Upgrade is a user-installable hardware and software combination that completely refreshes your Metric Halo devices for the next leg of the digital revolution. It replaces all the digital & computer interfacing on your hardware with up-to-date, cutting-edge implementations. This release is Early Access. What does that mean? Early Access means Final Production Hardware with Public Beta Software. Purchasing during the Early Access period provides a discount over the final price. Early access MH Console software is for macOS only. Early access firmware supports built in UAC2 drivers on Win10, Linux and iOS (but no MH Console support on those platforms yet). A new engine deserves a new Console. For 3d, we designed a new retina-enabled, 64-bit, cross-platform console application: MH Console. MH Console features a high-impact, modern, flat design with scalable UI elements. With user controllable color theming and extensive support for user-configurable interaction preferences, it is easy to tune the console to fit your style (and your eyesight). MH Console also adds support for standard UI gestures including drag-and-drop for inserts and multi-strip control swiping. It is built to support both multi-window and single-window modes — so you can work comfortably no matter what your windowing style is — it even supports full-screen mode. These new mixing features unlock new workflows specifically targeted at mixing for live and zero-latency cue mixing during tracking. Unified Driver — Your DAW sees only one device connected to the computer; all device I/O is aggregated in the hardware. The dreaded “Aggregate Device” will quickly disappear into the depths of your memory – forever! You have to be able to hear your audio properly to make good decisions. 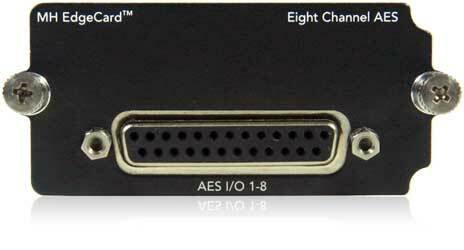 For 3d we built in MH MonitorControl: an integrated, system-wide, surround-capable monitor controller. MH MonitorControl allows the exceptional Metric Halo D/A converters to shine without the need for any additional hardware. 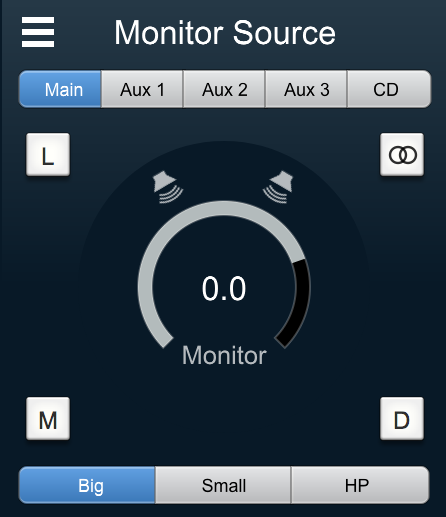 MH MonitorControl on ULN-8/LIO-8 features analog domain gain control for pristine level management at full converter resolution. 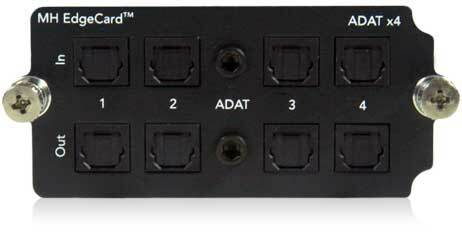 Input path mode control — Monitor input selection can optionally control the analog domain Mic/Line switch in the ULN-8 for more analog input sources. Originally developed to record Soulive’s 2003 Blue Note live album “Soulive (Live)” the Record Panel was designed to capture the inputs of multiple 2882s direct to disk. 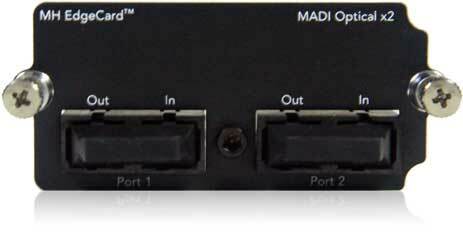 MIOConsole’s integrated Record Panel implemented a simple capture tool: rock-solid and light-weight with direct access to the hardware. 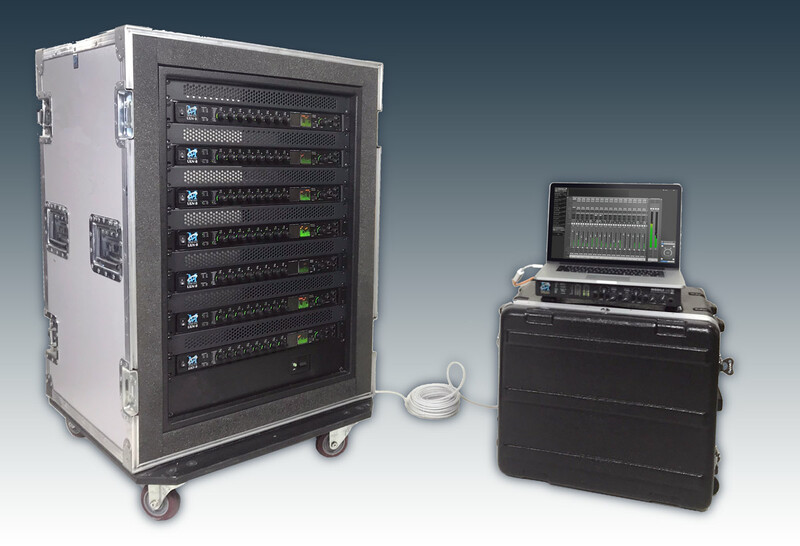 Over the years, the Record Panel added advanced features including SMPTE LTC decoding, audio file time stamping, BWF support and file auto-breaking for long-form live recording. MH Console expands on the design of the Record Panel and integrates MH Record – a take-based recording engine with deep integration with the 3d hardware. MH Record maintains the legendary stability and reliability that the Record Panel is known for while adding a host of new features. For live recording and take-based tracking, MH Record offers unparalleled stability, simplicity and sound-quality. 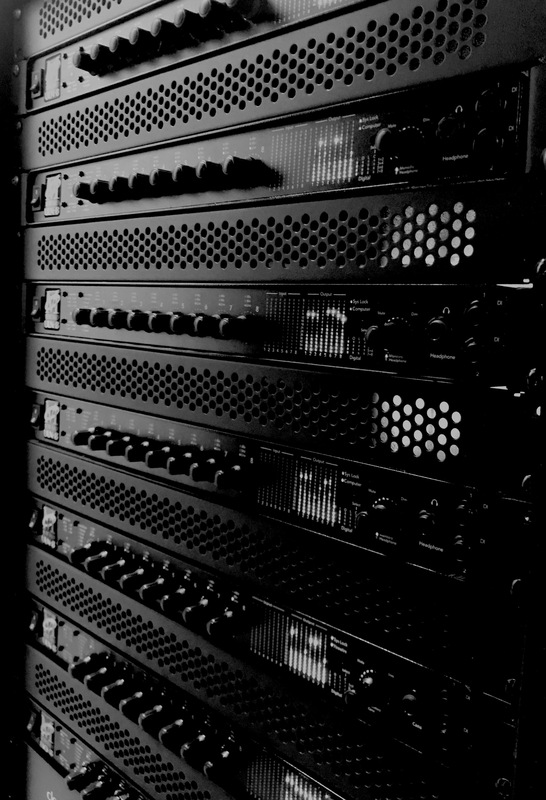 In 2001, Metric Halo blazed a trail for the industry by introducing the first interface with support for instantiable DSP. 17 years later we took +DSP to the next level. 3d core technology is based upon a fused FPGA/multi-processor design. To take advantage of this we offloaded as much of the core audio processing functions from the DSPs to the FPGA as we could. The processing power of the FPGA-based custom processors in 3d amount to roughly 30x the processing power of the DSP on the 2d Card. All the processors in the FPGA run with 1 sample of latency. All processors in the FPGA support their full capability at 192kHz. 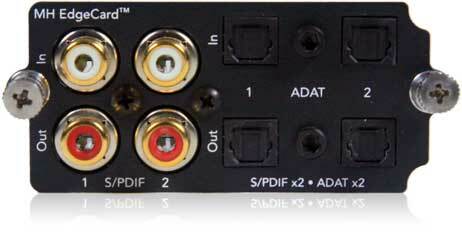 All of the audio transport in the system (with the exception of DSP processing) is managed completely in hardware. The 3d Core DMA engine connects to the fully programmable floating point DSP cores, which continue to support instantiable plug-in processing, with the added benefit of massively increasing the amount of low-latency memory available to the plug-ins. Each 3d Card has 1 GB of memory available for DSP processing – more than 2500x the memory that was available on 2d. This means that running out of memory for delays or reverbs is a thing of the past. We have included the full +DSP suite with the purchase of 3d. 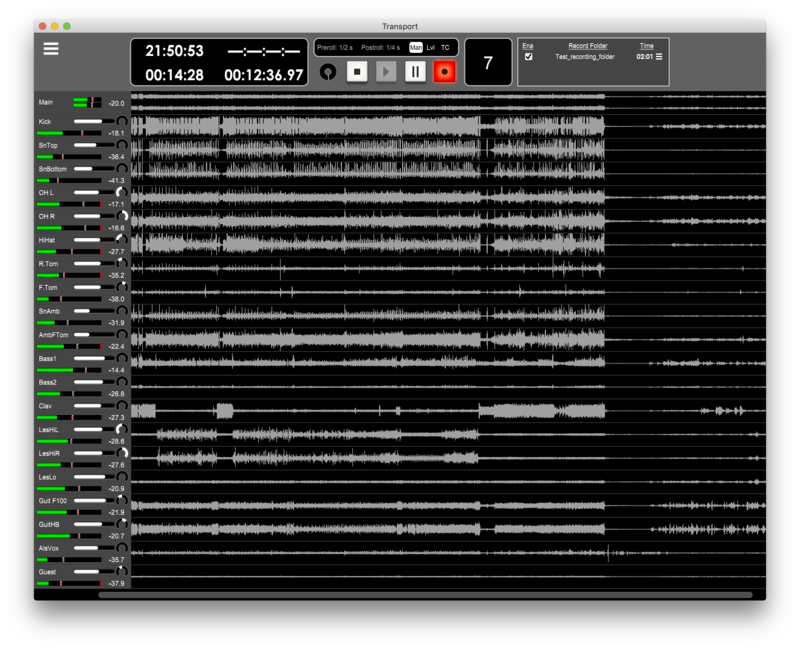 You can now access all the +DSP plug-ins as well as the +DSP graph on all units without an additional license. 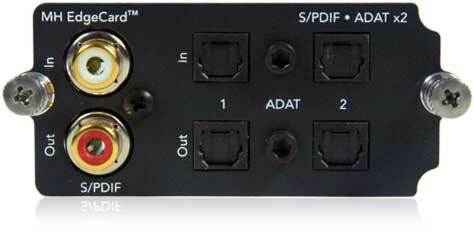 MH Console supports the industry-standard Mackie Control protocol as well as Avid’s EuCon control surface protocol. If you want tactile control over MH Console, all you have to do is add one of the many supported control surfaces. Faders, pans, mute, solo, headamp controls and MH Record transport controls are at your finger tips, and MH Console is ultra-responsive – no lag between the surface and the DSP. You can navigate through your mix from your surface. 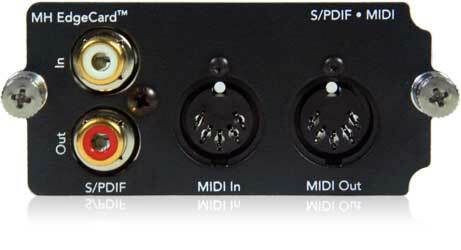 Moving an Aux to the faders is a single button push, and if your surface has a master fader, the selected bus master is always on the master fader. Black Lion Audio handcraft the most affordable & pro-sounding mic pres, converters, signal processors, word clocks & audio interface mod. 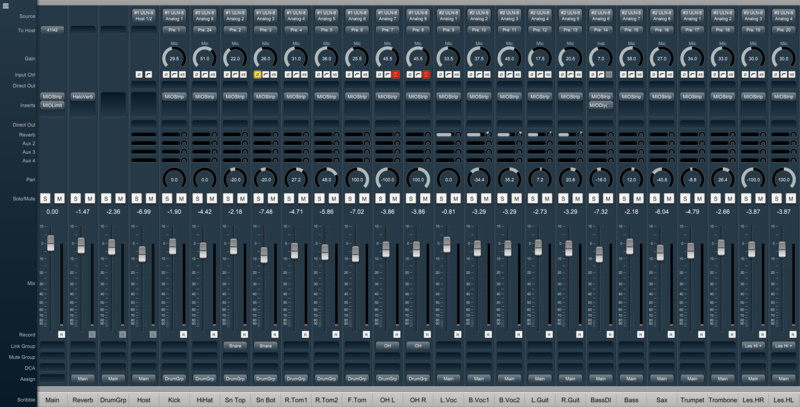 compression character in addition to the usual transparent mode that BC1 is famous for, perfect for the drum-bus. The panel of the BC1Ltd is a sleek brushed anodized panel which gives an exclusive feeling and the units are individually numbered on the frontpanel. Thanks to their efficient design & engineering these compact format new favourites have already become best sellers for Manley! 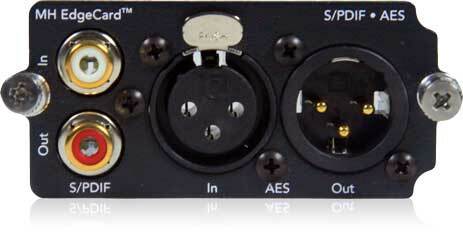 The Black Lion Audio Auteur Quad is the four channel version rack mount of our ever popular Auteur MK2 preamp. The Auteur preamp has become a studio staple over the last decade and is know for its fast, transparent IC based front end while also providing a fat, colorful back end via edcor transformers. This mixture of vintage and modern design approaches has led the Auteur to be known as the Swiss army knife of preamps that sounds great on everything. It especially shines on sources that require detail but also benefit from some thickness such as drums or vocals. 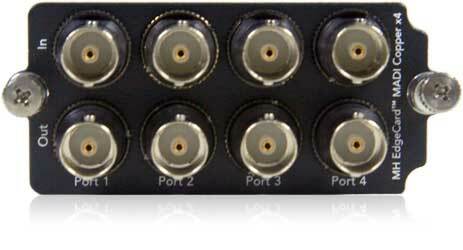 Some of the major additions to the Quad over the 2 channel half rack unit would be the all new meters on all four channels as well as borrowing the loved DI circuit from our 500 series Auteur on the first 2 channels. 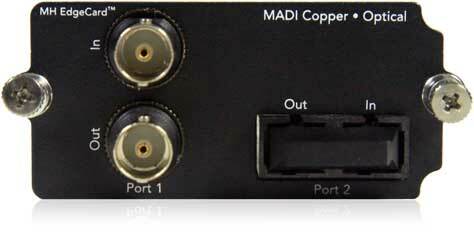 This feature set as well as channel count gives you one of the most affordable preamps in the world at an unbelievable price.